Just in time for spring, UK based men’s underwear brand Bluebuck, brings back its already loved boxer shorts collection and adds new colours to it. These masculine boxer shorts are made from an organic cotton and elastane blend fabric featuring a functional fly with 2 buttons. The company is proud for producing all of its items in European factories that use renewable sources of energy. Its goal is not only to create the best products they can, but to care for the environment as much as possible. Even the cotton used for their fabric production is picked by hand, and not with heavy machinery. Despite the fabric being a bit stretchy, these boxer shorts are cut in a looser shape which offers breathability and comfort to many men. With the addition of two new colours to this collection, the boxer shorts are now offered in five different colours (black, sky blue, grey, white and blue), and they come in six convenient sizes to fit most (from XS to XXL). With spring coming (hopefully at some point) you may want some loose fitting underwear not just for breathability throughout your day but also for lounging in. 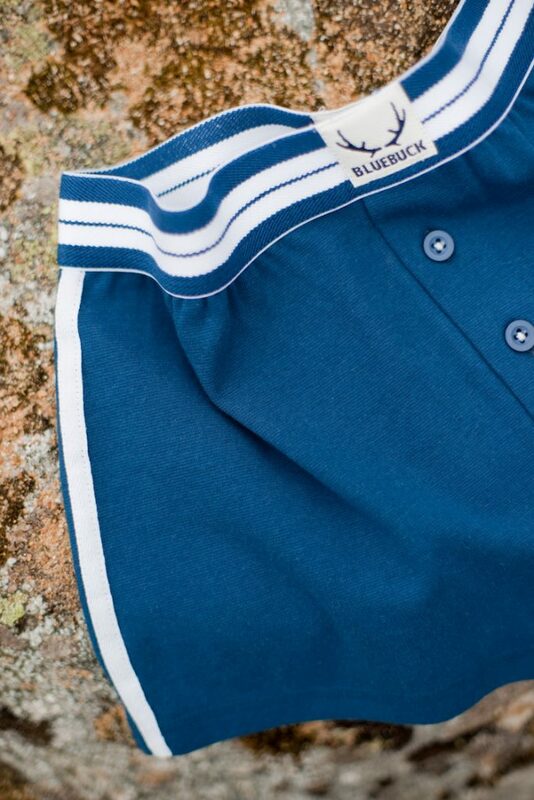 This underwear from Bluebuck is a great choice for the rugged and adventurous guy who appreciates a bit of fresh air and more room to manoeuvre.